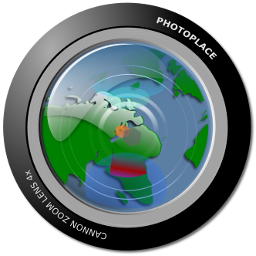 A tool for geotagging your photos and ... much more! 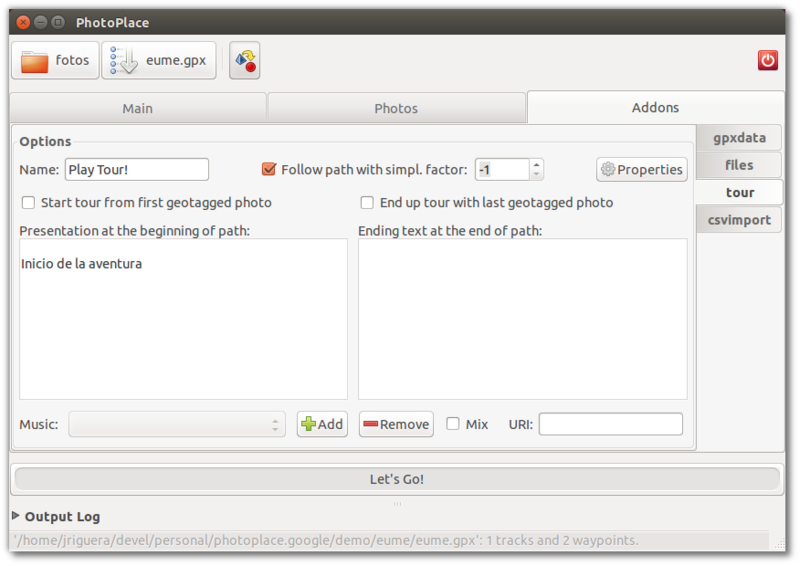 By providing a GPX document from a GPS device you can geotag all the photos within a folder. 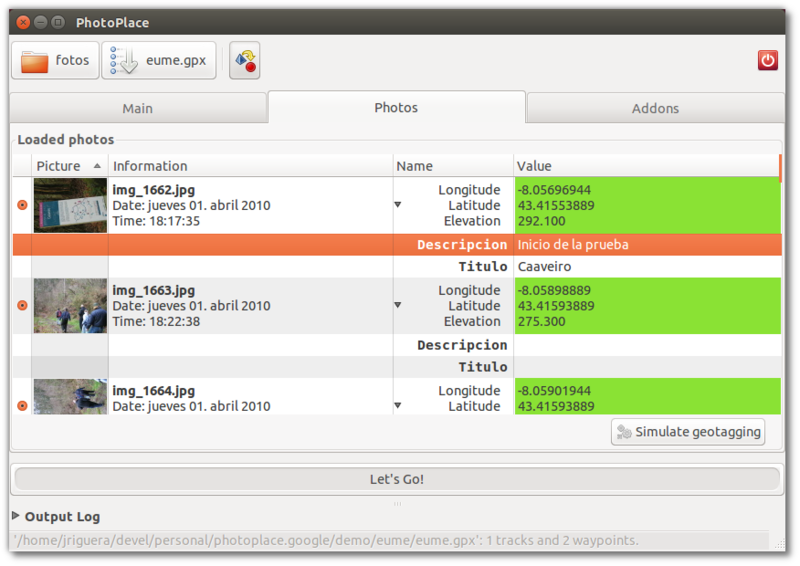 Even, by using a CSV plugin it is also posible to import the geodata for the images. 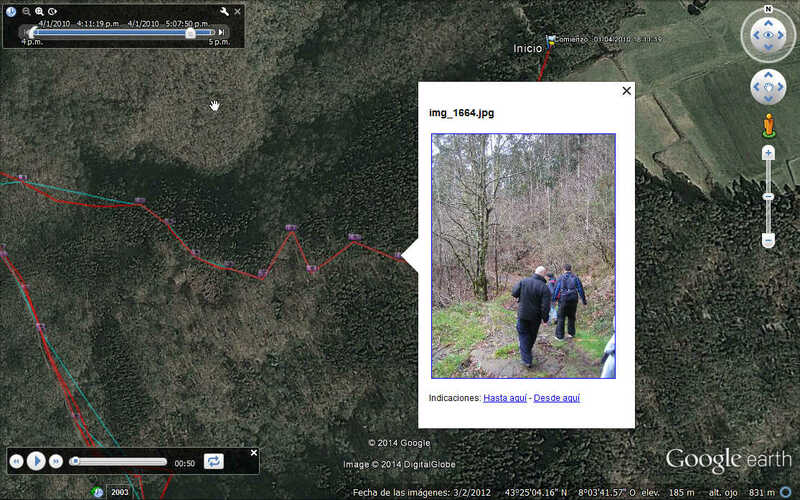 It can generate a KMZ layer for Google Earth, with all photos included. Moreover, you can create a presentation with audio, a virtual tour flying to each image. The information displayed is highly configurable with HTML templates and its functionality can be complemented with plugins. With binaries for Windows and packages for Debian/Ubuntu. Made with Python 2.x you can download and run it directly in the folder. When the program is executed, it tries to launch a GTK user interface, but it can operate in command line mode like a batch process, then all needed options are taken from the configuration file or from command line as arguments. Main screen of the program when it is launched. 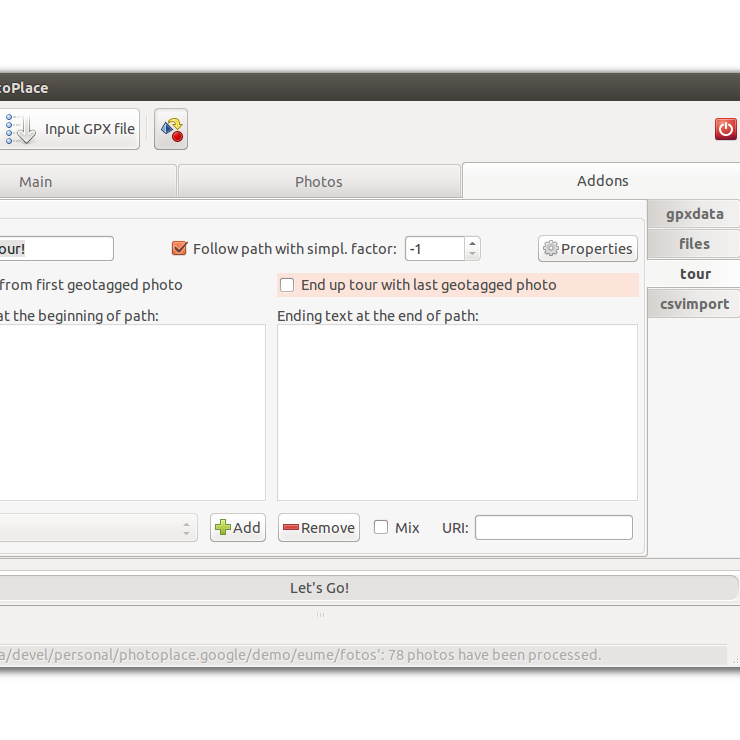 By passing a folder with geotagged photos and clicking on Let's Go everything will be done. Tab with a list of the loaded photos with the coordinates and variables for each one. Click over the variable for editing. On the right, list of loaded plugins. On the left, settings for the plugin Tour. Per photo coordinates, exif and variables viewer, in this case running on Windows. 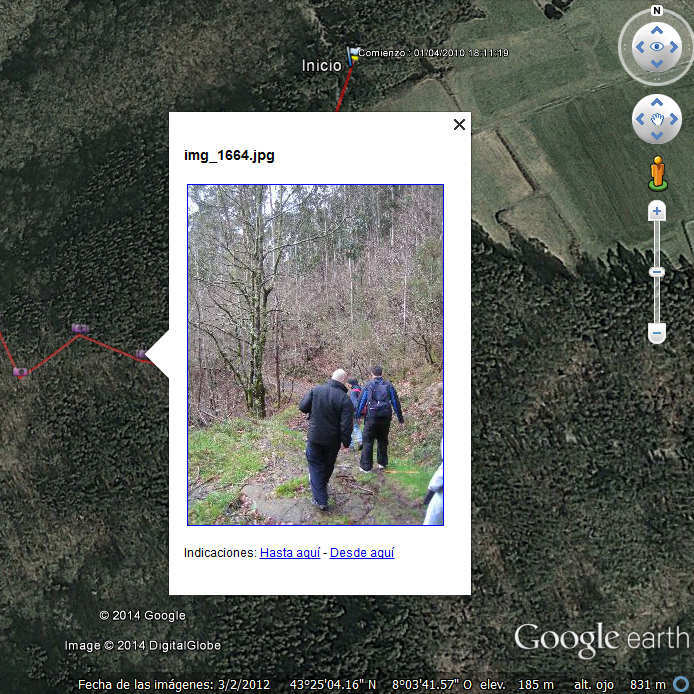 KMZ Layer loaded on Google Earth with a virtual Tour flying from one to another list of photos. PhotoPlace binaries are available at the GitHub releases section. Packages with the source code and all the contents of the repo are also available for downloading there. Installer for Windows platforms (Vista, 7, 8). Compressed zip binary for Windows platforms (no installer). Compressed tar.gz package for other Linux/UNIX/OSX platforms. On GitHub, across time, all PhotoPlace versions were downloaded times. After download the right package for your platform on the previous step, the installation is pretty straight forward; for Windows, just accept the license and click next and next ... -keep calm, there is no malware in the installer-. 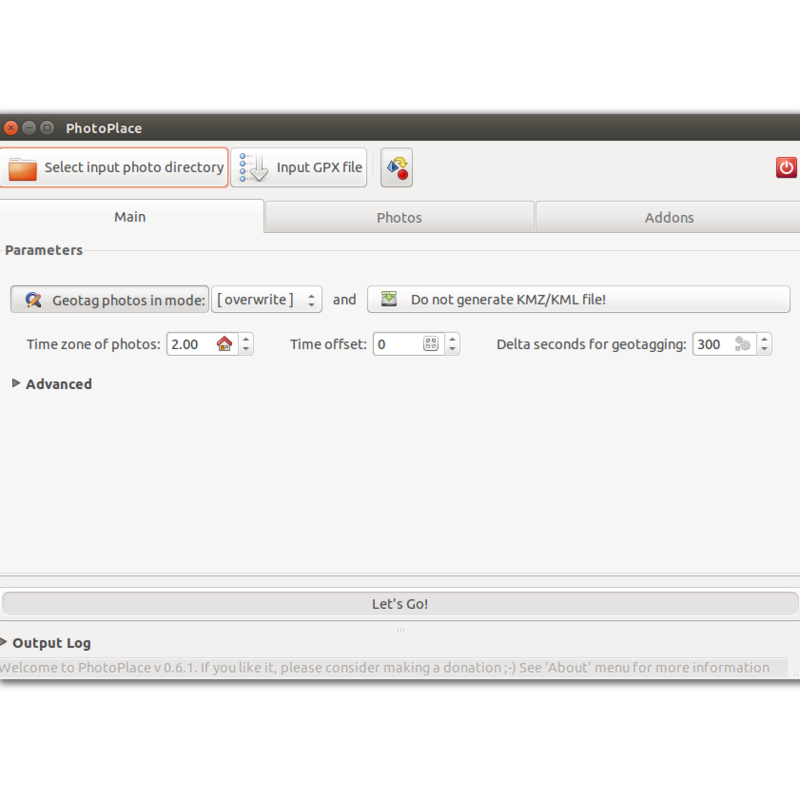 For Ubuntu/Debian, just click on the file and the official installer should start, otherwise, to install it manually, open a terminal and within the download folder type: sudo dpkg -i photoplace*.deb; sudo apt-get install -f.
The use of PhotoPlace is pretty easy, let's see how it works if 5 steps ... Apart from this quick guide, you can find more tutorials and information in the wiki of the project at GitHub. Moreover, there are other small PDF manuals: English and Spanish. 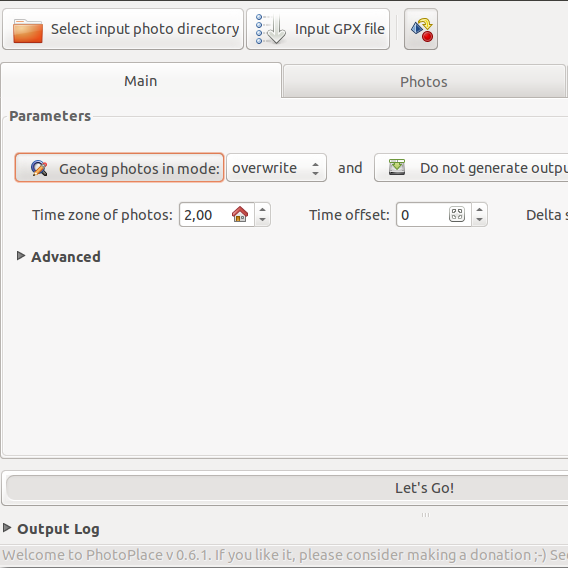 The window has a toolbar to load a folder with photos and an optional GPX file. Also, you can enable or disable all the plugins. At the bottom there is an output section to see what happens every time you trigger an action. Finally, remind you that all the entries and controls have tooltips defined, so after a while of the mouse over them, more help should be showed. 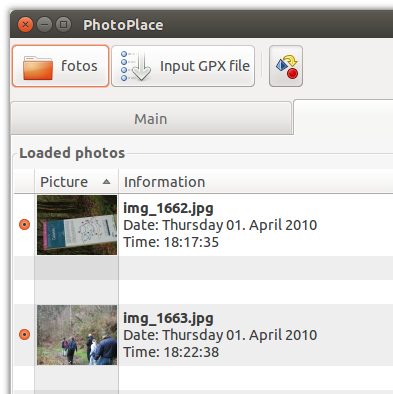 Photos are the main meal for PhotoPlace, so click on "Select input photo directory" and provide a folder with images. After loading all the pics, you can go to the tab "Photos" to see all. 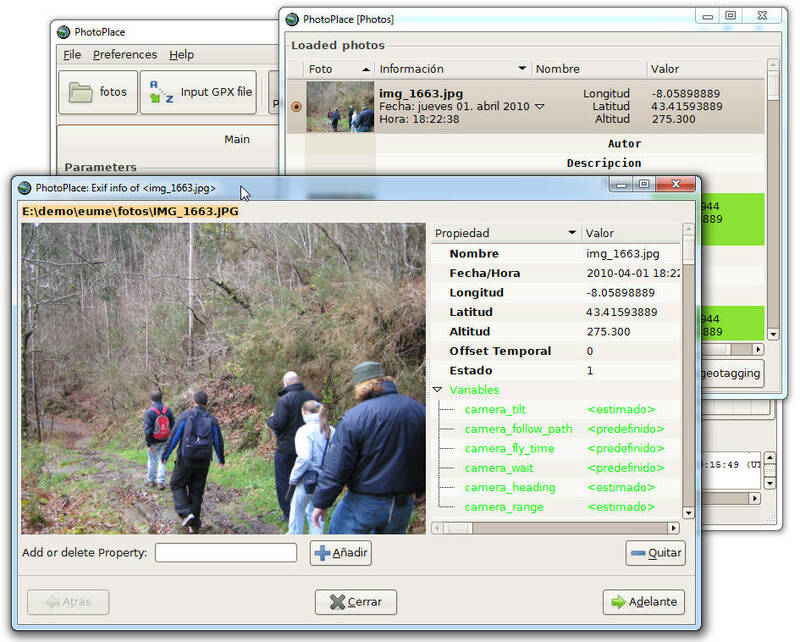 If you see photos in green, it means they are already geotagged, so you do not need to provide a GPS file to geotag them. Moreover, you can fill in the description and/or title for each photo, then that data will appear next to the photo in the KML Layer. Now it's time to use the extensions or "Addons", so go to the tab and click on "tour". This plugin is in charge of generating the virtual presentation from above. You can type some introduction and summary text, but the most important feature is the audio: click on "Add" at the bottom -next to "music"- and choose a MP3 file as soundtrack for the presentation. Configure the Time and Let's Go! Going back to the first tab "Main" you have to setup the timezone of your photos. You must take into account also the daylight saving time!, when the photos where taken. 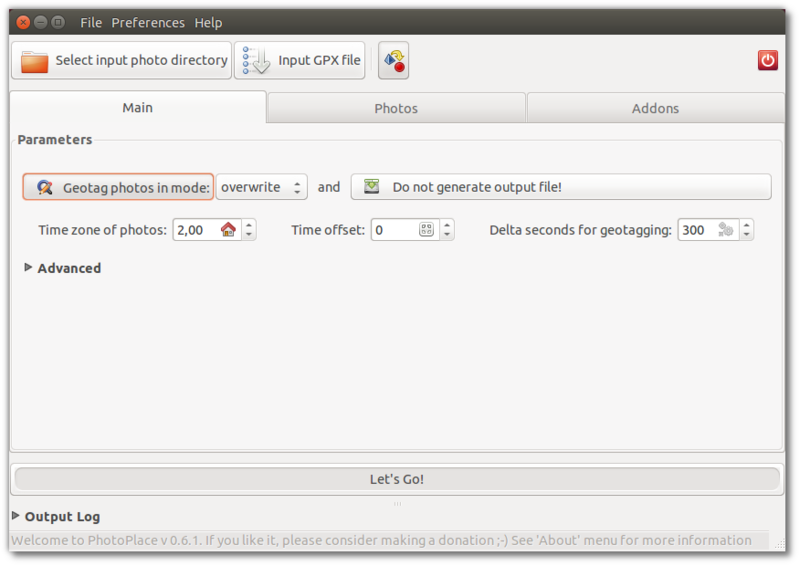 Also if you are using a GPX file and your camera was not in correct time, you can define the time offset. Other important parameter is about geotag the photos, it can be disabled, by this way, only a KMZ layer will be generated. Otherwise, you can choose if the original photos already geotagged must be overwritten using the new location. Finally click on Let's Go!. 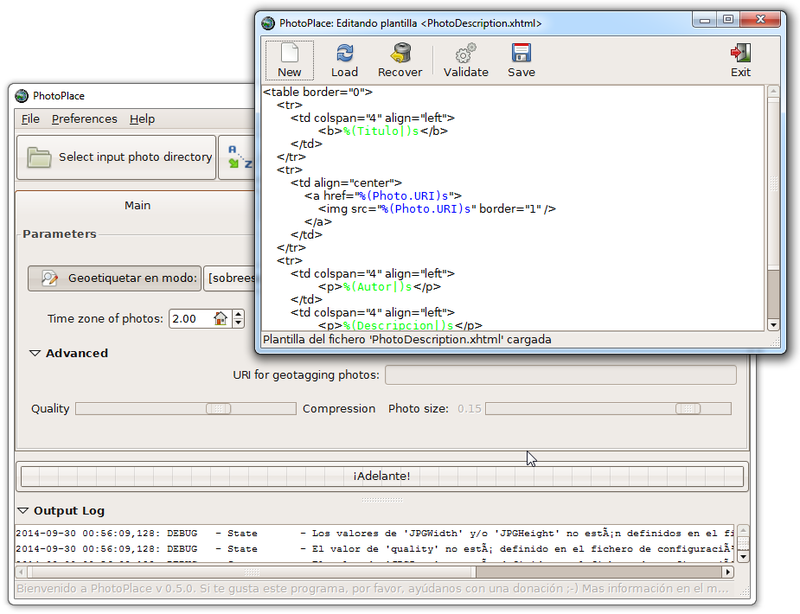 After a while the output KML file will be generated next to the folder with the photos. It will contain all the photos scaled to a small size and also the mp3 audio -if you have included one-. By clicking on that file Google Earth should be launched and finally click on Play! -on the left panel- to enjoy the presentation. PhotoPlace is free of charge! It's free software released under Apache License 2.0 developed at GitHub, so you can download it and make all changes you want!. The project was born inspired by Noela to use in environmental projects at Kartenn and developed by Jose. Remember, you are welcome to report issues by using the GitHub ticket system and also we have a mailing list using Google Groups (photoplace-project@googlegroups.com) where you can email comments to us about the program. As well, we would really appreciate it if you would consider making a small donation: half of the money will be donated to a local NGO Ecodesarrollo Gaia which helps people in Africa, with the other half, I would like to visit Australia and, in connection with a geotagging program, my antipodes in New Zealand, and your coins can help us to achieve those goals.